Kalita Records is an independent record label based in London and is setting the bar high with selection, integrity and journalism. All releases are officially licensed with the rightholder’s consent. Plus, the label is even filming interviews with artists and broadcasting them on their website. Kalita is up to their third release already with Iwabo’s Reggae Down. This track was the band’s only release and was originally out in 1985. 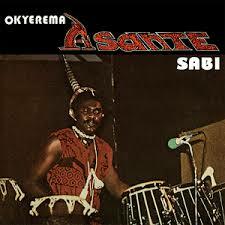 This fine reissue continues the label’s attention to detail – with liner notes and a never-before-seen photo of the band – following the in depth interview with Okyerema Asante for Kalita’s last release. WTM – Give us a run down of the releases so far – how did you come across the music and eventually choose to reissue it? “Firstly, in relation to NST Cophie’s, I had known about E Clôlo for a long time, as I had heard it on an obscure Youtube clip without any track title and instantly fell in love with the song. After then hearing Bian Kou a few months after, I knew that his album Mon’Da Center was truly a lesser-known gem and deserved love and attention once again. Quite out-of-the-norm, Ernest actually has his own website through which I tried to contact him to ask if he would like to re-release his music, but never received any response. It was only after finding him on social media that we were finally able to make contact and he was responsive and interested in the fact that music lovers in London were so into the music that he had released in Paris and Abidjan 36 years before. “After a short time we had agreed to re-release three of his songs from the album and he was willing to send a photo of himself from the time for the sleeve cover, as well as being kind enough to answer some questions that I had – the responses being truly valuable for putting together the liner notes. WTM – the interviews with artists are a great idea, really well done and a credit to you. WTM – what else is coming up? 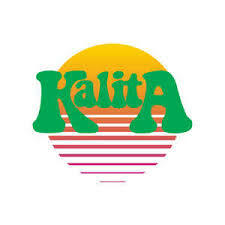 For more tunes, mix links, news and more – go to the Kalita Records website.